Pam grew up playing lacrosse outside of Philadelphia in Downingtown, Pa. She went on to play at Bloomsburg University, a Division II school in Pa. Upon moving to Atlanta in 1996, Pam joined the Atlanta Women's Lacrosse Club (AWLC) and quickly became part of a core group of people dedicated to the growth of girls' lacrosse in the Atlanta area. In 1998, Pam began coaching at Centennial High School in Roswell, one of the first public schools to have a lacrosse program in Georgia. Pam coached at Centennial until the end of the 2004 season. 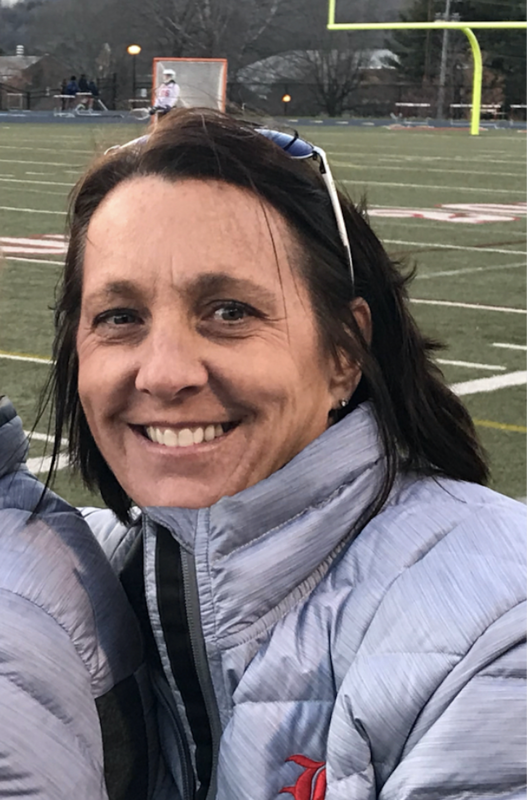 In 1999, Pam became a certified lacrosse official, and has maintained that status as an active official today. In 2000, Pam began Dixie Chix Lacrosse Academy with a teammate from AWLC. Their goal was to offer proper fundamentals and basics of lacrosse to new players, coaches, and parents. Pam received the "Program Administrator of the Year" for Dixie Chix Lacrosse Academy in 2006 by the Georgia Chapter of US Lacrosse. In 2008, Pam began Hotlanta Lacrosse as a spin off of Dixie Chix, with a re-branding and an expansion of programs to meet the needs of the local lacrosse community. Pam received the "Woman of the Year" Award for 2008 by the Georgia Chapter of US Lacrosse. Pam again received the "Woman of the Year" Award from Georgia Chapter of US Lacrosse for 2012. After more than 19 years of being involved in girls' lacrosse in the southeast, Pam's goal remains the same .....to preserve the tradition and integrity of the game, as well as promote good sportsmanship and provide positive role models for today's youth. Pam became a Georgia licensed attorney in 2010 and is doing pro bono work at the AVLF (Atlanta Volunteer Lawyer's Foundation). She works with children as a guardian ad litem and other legal programs to assist the underprivileged. Pam plans to continue her lacrosse business, balancing it with her new legal career. Pam's latest big news is that she is the proud mother of a little boy born September 21, 2013. Charles "Knox" McNabb has changed her life already and she is excited about the journey to come as he grows up and of course becomes a lacrosse player! Pam was recently inducted into the US Lacrosse GA Chapter Hall Of Fame!